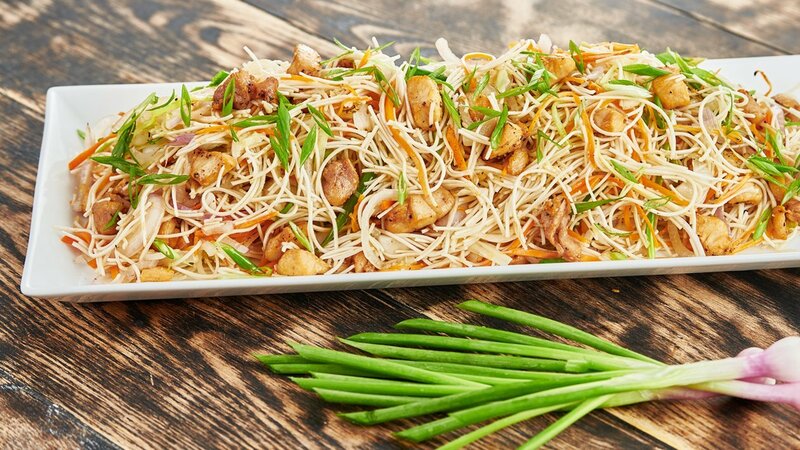 This is an easy to prepare delicious fried Noodle dish passed down by me with the special twist of Knorr Chicken Seasoning. Follow the recipe below! Heat the oil in a thick bottom pan or Wok and add beaten eggs and fried well. Add garlic and ginger paste and sauté for few seconds. Add onions, carrot, Leeks and sauté for a minute; then add fried chicken and fry for few seconds. Stir in the noodles with green spring onions and Chicken seasoning powder to taste and fry for another few seconds; serve hot.